If I have to make mince after my boys leave home, I think I’ll scream! For those that don’t know, I have 3 boys (11, 8 & 6) and their favourite meal is mince & pasta. In fact unless I say mince (or pizza) is for dinner there is usually a revolt of varying degrees of severity. I cook at least 1kg if not 2 of mince a week and serve it in a variety of ways: mince & pasta (AKA spaghetti bolognaise depending on whether it’s actually spaghetti or some other shaped pasta), nachos, tacos, burritos, lasagne, pasta boats, pies, meatballs…. 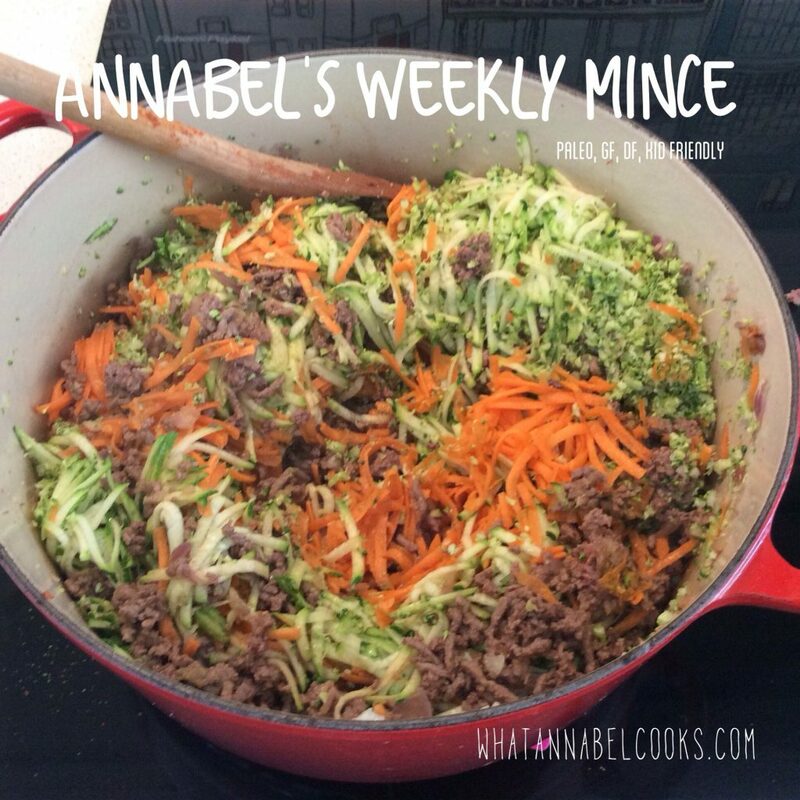 If it involves cooked mince I use the same basic recipe. It does change from time to time depending on what mince meat is on special, what vegetables I do or don’t have in the kitchen and which spices I’ve run out of. I’m sure every family has their own secret ingredient/herb/spice and method, but since I’ve been asked for mine, I’ll do my best to write it for you. As my kids are pretty fussy and certainly not the kind of kids to munch down a Vietname rice paper roll full of veggies, I use the weekly mince to get lots of veggies into them. When they were really little I had to puree them so they couldn’t see ANY flecks (ie grated) bits but now grating and bitzing in the food processor is enough. If adding something a bit different I tend to blitz until pieces are very small so it goes undetected! In a large pot (stock pot/cast iron pot) heat 1-2Tbs macadamia oil. Brown onion & garlic then add the mince. You might need to have element up high to brown the mince quickly. Once the mince is browned, add the spices and stir through. Add grated vegetables (not tomatoes/passata) and stir through for a few minutes. Add stock, tinned tomatoes, passata, dash of soy (or soy alternative). Stir through. I usually rinse the tin & jar with water and add that tomato-y water to the pot too. Add bay leaves and simmer for as long as you like – up to a few hours. If in a hurry it’s ready to eat immediately but the extra simmering time will develop the flavours. Serve as you wish – pasta/GF pasta/zucchini noodles/with corn chips, as lasagne etc etc etc.